Love Hatha Yoga? Feel that it is time to deepen your understanding of the different facets of Yoga? Ready to go through a transformation that sheds the old ways to create space for something new and inspirational? Then join us on this year (to 3 year) long journey where we support, guide and give you space to go deep within. You need to have been practicing yoga for a minimum of 2 years. You need to currently be attending Integral Hatha Yoga classes weekly. Click here to apply to this course. A personal interview before committing to this course is required so that both parties can be ensured that it is the right course for you at this time. 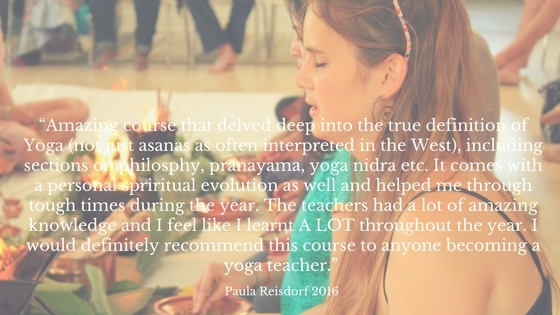 You may start this course with any of the modules or workshops, with the exception that the Vinyasa Krama (Yoga Sequencing) Module and Practical Teaching Module need to be completed in sequence at the end of the course.